PrimeHomes Development Corporation Management Team. From left: Nina Lyn Cabahug; Michelle Juntilla; Karen Elnar; PrimeHomes President & CEO Benny Que; Business Development Manager Harold Vince See; Melchor Rico and Hector Abella. PrimeHomes Development Corporation has just unveiled its fifth project, LUANA DOS, located in Minglanilla, Cebu. LUANA DOS is the second subdivision that carries the LUANA series. LUANA is a Hawaiian term for "hayahay" in Cebuano. LUANA DOS is a Hawaiian tropical inspired middle to high-income exclusive subdivision that will only be limited to 55 families. It is primarily composed of single detached and single attached units which. Even with this exclusivity and privacy, LUANA DOS still has all the amenities and comforts one yearns for in a subdivision. LUANA DOS boasts of having its own SWIMMING POOL, BASKETBALL COURT, as well as a gazebo. LUANA DOS will have its own 24-hour security personnel, perimeter fence, as well as property management team to cater to the needs and wants of its discerning residents. "We wantPRIMEHOMES to be synonymous with the word innovate," Benny Que, President and CEO of PrimeHomes, shares. 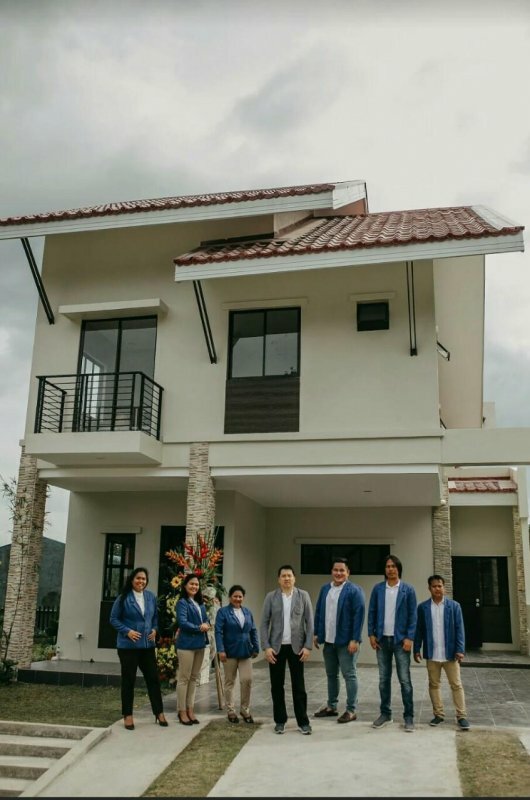 "PrimeHomes Development Corporation started the trend of having a car port for economic housing, houses that sell for a million pesos or less, which we did in Henaville, and we are a forerunner in this category. Now, -we want to be the TOP OF MIND choice for medium to high-income subdivision with our LUANA series. All LUANA subdivision will boast of a SWIMMING POOL, BASKETBALL COURT, LUSH GREENERY, and a COMMUNITY AREA where our residents can have the chance to mingle with one another. ", he added. LUANA DOS is the perfect place to CALL YOUR HOME. Have the peace of mind, tranquillity and "hayahay" you deserve at LUANA DOS.